Could you do better when negotiating?Are you avoiding difficult conversations?How well do you deal with employee disputes?Are you failing to get the best from your employees?Are you frustrated with irate customers? The Stitt Feld Handy Group offers professional development programs around the world. We provide courses that teach how to resolve conflicts, negotiate better deals, communicate more effectively, improve customer service and improve workplace coaching skills. Since 1994, we have trained over 35,000 executives and professionals in North America, Europe, Australia, Asia and Africa. We are a division of ADR Chambers, which is the largest provider of dispute resolution services in the world. Whether you want to enhance productivity, reduce the cost of doing business, negotiate better deals or build practical skills, our training will help you achieve your goals. We specialize in designing and delivering customized training to meet your specific learning objectives and workplace issues. Together we will identify your key training needs and design a program to meet them. Participants will leave your program with new skills that are immediately applicable to your workplace. Without question, this was the best and clearly the most applicable workshop that I have ever attended. I enjoyed the format and the exercises as well as the trainers. They delivered their material from such an extensive frame of reference and were helpful and very effective. At this four-day workshop, you will discover the process to find win-win solutions to nearly any conflict thereby saving time, reducing costs, eliminating litigation and preserving valuable relationships. You will learn how to use Principled Negotiation, developed at Harvard, and learn how to mediate disputes. At this three-day workshop, you will learn how to handle difficult conversations and difficult people with skill and confidence by being more assertive and in control. You will also have the opportunity to complete the Myers-Briggs Type Indicator-Step II. At this three-day workshop, you will learn how to get results in negotiations. How do you get others to “buy-in”? How can you avoid creating long-term problems when you negotiate? How can you avoid being taken advantage of in negotiations without creating an impasse? Learn to succeed where others fail by gaining the practical skills that will work in the real world. At this three-day workshop, you will learn strategies that will allow you to excel at coaching others about workplace issues. You will learn the Progress Model of coaching and see how it applies to performance issues, conflict coaching, performance management and other coaching issues. At this one-day workshop, you will learn techniques that will allow you to handle really challenging customer service situations with confidence. Whether managing a problematic customer or having more productive conversations with fellow staff, this course will give you the core tools you need. At this two-day workshop for health care professionals and administrative staff, you will learn how to handle difficult conversations and difficult situations related to Elder Care with greater skills and confidence, as well as understanding related legal issues. This two-day workshop has been designed to help professional advisors in Estates, Trusts and Business Succession Planning enhance their ability to have the difficult but crucial conversations they need to have with clients. You will benefit from real world coaching practise and receive one-on-one mentoring on your coaching skills. You will coach at least five clients and receive templates and materials to guide your development as a coach. Your coaching will actually effect change in terms of performance, dealing with conflicts and effective decision making. You can earn your Advanced Certificate in under one year. There are only 15 days of in-class training, no exams and no essays. This Executive Certificate is targeted to those who want to coach and mentor effectively. It is comprised of the Coaching for a Better Workplace and Dealing With Difficult People workshops, the Online Negotiation and Difficult Conversation courses, the Coaching Practicum and one of either the ADR or Become a Powerful Negotiator workshops. You can earn your Executive Certificate in under one year. There are only 15 days of in-class training, no exams and no essays. This Executive Certificate is targeted to working professionals and is comprised of the ADR, Advanced ADR, Applied ADR, and Dealing With Difficult People workshops and the Online Negotiation and Difficult Conversation courses.  Graduates of all our multi-day public workshops and online courses receive a certificate from the University of Windsor Law School.